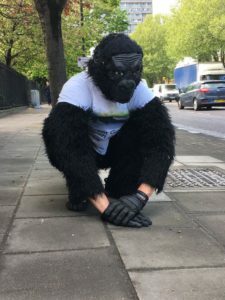 Mr Gorilla is STILL crawling the London Marathon three days after the race began and he reckons he should complete the course by Saturday. Mr Gorilla is a chap called Tom Harrison and completing the 26.2 mile course “gorilla-style” on his hands and knees. All in aid of The Gorilla Organisation, a conservation charity with projects in Rwanda, Uganda and the Democratic Republic of Congo. This policeman is an outstanding chap and I’m sure that gorillas and gorilla lovers the planet over would like to donate a few quid HERE on his Just Giving page. 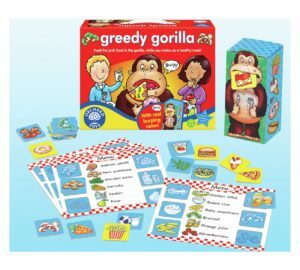 And here is our slightly gratuitous gorilla based game that we do think is rather good for just a tenner over Argos way.